Critics regard Raymond Chandler as one of the authors who transformed American crime fiction from a pot-boiler genre to a literary form. He, along with James M. Cain and Dashiell Hammett, dropped the intricate mental puzzles turning on timetables, exotic poisons and complicated motivations in favor of psychological dramas that featured realistic characters, a more pessimistic attitude about the human spirit and plots driven by lust and greed. Those who have heard of Chandler know him primarily as the author of The Big Sleep, a novel that was made into films twice, once starring Humphrey Bogart as Chandler's wise-cracking but chivalrous detective, Philip Marlowe, and an inferior, updated version with another well-known movie tough guy, Robert Mitchum, playing the part. They may also know that Chandler, who was never particularly prolific as an author, ran into a dry spot toward the end of his career and left his last book, Poodle Springs, unfinished (it was later completed by Robert Parker, but the finished product appears to be more Parker than Chandler). Those familiar with Chandler's life may even know that he was an alcoholic who could become an abusive, combative drunk when he was on a toot. 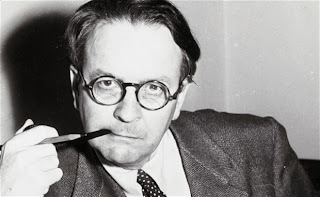 Raymond Chandler strikes an authoresque pose in this photo from the Guardian. In his fine biography of Chandler, A Mysterious Something in the Light, writer, literary agent and editor Tom Williams goes beyond the author's public persona, piecing together Chandler's family history, private relationships and key episodes from his childhood that give us a clearer understanding of why the novelist became an exemplar of the hard-boiled school of writing. 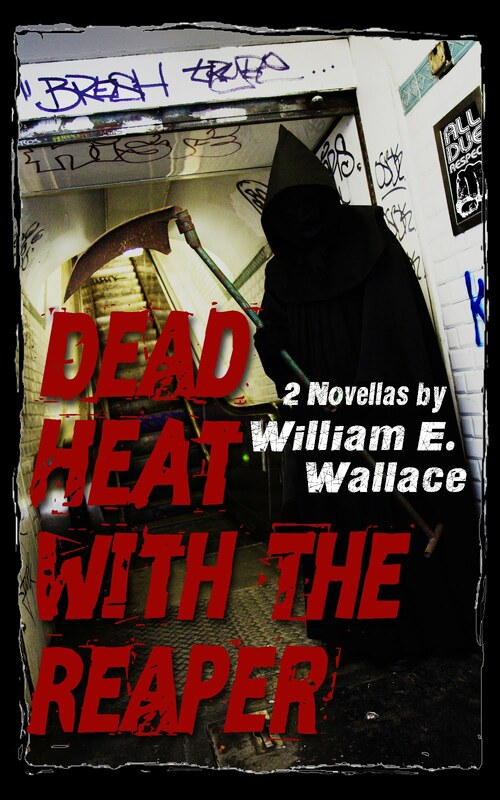 Williams' book, published less than three months ago, builds on his earlier biography of the writer, Raymond Chandler, and helps the reader understand what led him to create Philip Marlowe and inspire a host of other writers, including Ross MacDonald (The Zebra Striped Hearse, The Underground Man). In fact, one of the biography's chief virtues is the way in which Williams relates specific event in Chandler's life to his fiction, and shows how the style and substance of his novels were greatly influenced by the grimly dark corruption of Los Angeles, a city where he spent critical years as an oil company executive before he began writing crime stories. Chandler was born in Chicago in July 23, 1888, but moved to Nebraska as a small child. His father was a railroad construction manager and his mother an Englishwoman who was raised in a rather arid family in the old country. The couple had a fractious relationship that eventually ended in divorce. As Williams explains it, the split drove little Raymond closer to his mother, who took him to England where he was raised and educated. His father's absence from his life affected Chandler deeply, and Williams says it appears to have been at the root of the difficulty he had building relationships with men during his adult life. On the positive side, his period in England gave Chandler a fascination for literature. He aspired to become a poet, though his work in the field was mediocre and derivative. Despite his best efforts, he was unable to obtain a real foothold in British literary circles and found himself looking for a more mundane way to make a living. Chandler saw himself as a sort of minor classics-quoting English nobleman, affecting a silver headed cane and elegant style of dress, but his posh appearance was simply a disguise: although he tried his hand at a number of jobs, he was uniformly ill-adapted for each of them and became increasingly desperate to find some calling that would give him the genteel prestige he sought. Repeatedly frustrated in his efforts, he and his mother eventually decamped for the United States. As Williams recounts, Chandler finally managed to find the niche he sought as a middle-level executive in the oil industry in Los Angeles. It not only provided him and his mother with a degree of financial security, but also introduced him to Southern California's bohemian set and gave him his first close look at corruption and the venality of American capitalism. Both eventually would become major influences on his literary career. For Los Angeles in those days was a crime-ridden sinkhole dominated by a syndicate of White Anglo-Saxon Protestant racketeers known as "The System." Police were as crooked as city politicians, and the city's business leaders operated under an "anything goes" philosophy that condoned gambling, prostitution and a variety of crimes. 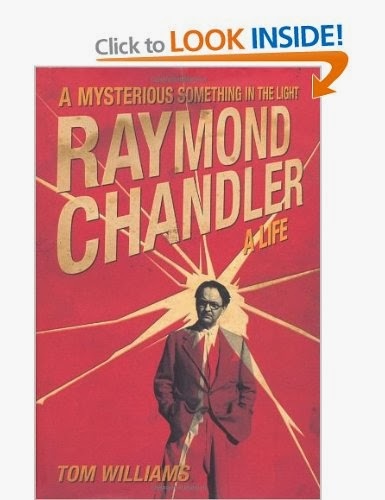 It was a perfect milieu in which Chandler could absorb gritty atmosphere and meet characters like those who would later appear in his pulp fiction. "Business was inherently corrupt in Ray's eyes," Williams writes. "It did not make much sense and he always believed that 'big business left to itself will always be crooked.' . . .[he believed] the institutions built to protect the citizenry were not up to scratch." Or, as Chandler put it himself, "The typical racketeer is only very slightly different from the business man in many of the more tricky kinds of business such as oil, real estate, sports promotion, theatrical ventures, nightclubs and hotels and restaurants." This is the philosophy of "red noir," the anti-capitalist theme I have mentioned repeatedly in other essays, which forms the underpinning for much hard-boiled detective fiction. Briefly stated, crime is not a form of evil unto itself; it is the inevitable product of our economic system. As Williams puts it, "the detective remains pure. He is one of the little people, doing his job, but up against the might of the political and criminal forces that run the city." Williams says that many of Chandler's early pulp stories reflect this notion, not in a flagrant, obvious way, but through the dialog he uses to establish his characters and motivation. 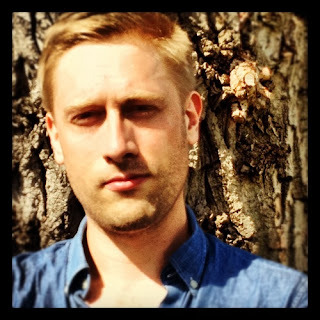 Chandler, a wannabe toff with a decidedly ruling class point of view, writes red noir not because he is a leftist ideologue, but because it reflects the real world he observed while living and working in Los Angeles. It was also in L.A. that Chandler met Cissy, the woman who would become his wife. The relationship was probably not a healthy one: Cissy, a divorceé, was a contemporary of his mother (his fascination for the older woman infuriated his mother and drove a wedge between them). Chandler and Cissy lived together for years as lovers and eventually wed after Chandler's mother died. But the marriage was not a happy one: Cissy had apparently been less than forthcoming about her actual age: Chandler apparently was angry when he discovered she was some 18 years his senior, and took steps to cover up the age differential later. The depression sank the oil company Chandler worked for, but Chandler had already been sacked for his alcoholism and erratic behavior. The firing ended his career as an executive. It was difficult for a middle-aged man to find a new job after the stock market tanked in 1929, wiping out his holdings. Well into middle age, during a trip with Cissy, Chandler picked up a copy of a pulp detective magazine for amusement and realized that the pulps would pay him to write while he polished his craft as a short story author and novelist. The slam-bam action and crudity of the pulps was nothing like the poetry he had been trying to write -- rhymes full of chivalric heroes and pure, untouched women who seemed to reflect his rather naive view of his mother -- but if he could break into the market, he would at least become the professional writer he had long aspired to be. He took a correspondence course on how to write fiction and set to work on his first story, "Blackmailers Don't Shoot." It took him nearly a year to write it, and in retrospect, it is a collection of scenes that are glued together into a story that is not particularly coherent. Nonetheless, it made the cut at one of the leading pulps, Black Mask, which published it. Although Chandler was paid a mere penny a word for the piece, he was at last a professional writer. Once he broke into the pulp magazines, Chandler produced a series of noteworthy short stories and novels that cemented his reputation as a creator of the hard-boiled detective character and a founding member of the noir school of mystery. All but one of this major works formed the basis of hit motion pictures that featured some of the top stars of the era: The Big Sleep; The Lady in the Lake; Murder, My Sweet (published and refilmed in 1975 as Farewell, My Lovely); The Long Goodbye; and The Brasher Doubloon. Once he had achieved critical success as a writer, he was tapped to do screenplays, transforming a number of other author's works into material suitable for use in motion pictures, including Double Indemnity, Strangers on a Train and The Blue Dahlia. Chandler, whose private eye Marlowe, served as one of the prototypes for the tough-talking, wise-cracking private eye that became a default setting for American mysteries, eventually attained literary success, though it came late in his life. As Williams' excellent bio makes clear, it was an irony worthy of one of his novels that the man who helped create the hard-as-nails private eye stereotype was himself a superannuated mama's boy and a failed poet who was uncomfortable in dealing with either men or women.